Does God Permit a Muslim to Break a Promise? The Muslim Brotherhood set Egyptian politics ablaze recently with their decision to nominate their chief financier, Khairat al-Shater, for the presidency. Though he has since been disqualified, they continue to run with their backup candidate, Mohamed Morsy. All political groups recognize the right of the group to do so but many have criticized them harshly, recalling their promise from early in the revolution. The Brotherhood assured both revolutionary forces and Western observers they had no intentions for the presidency, anxious to calm fears of an Islamist takeover. They even expelled a prominent member, Abdel Munim Abul Futuh, who declared his candidacy early on. MB Spokesman Mahmoud Ghozlan explained to me this promise was necessitated by fear the West would extinguish the revolutionary movement. Now the reversal is necessary to protect the revolution from former regime members seeking the presidency. Perhaps this political analysis is reasonable, but the Brotherhood are not simply politicians; they are also Muslims. An anxious West expects men of religion to keep their promises. Pressed on this question, Ghozlan was quick to answer. Yet as the Brotherhood defines this benefit in accordance with their own, they risk confirming fears the group cannot be trusted, which some in the West extend to Muslims in general. I inquired of scholars of three different Islamic trends to test Ghozlan’s interpretation. All three confirm the message of the tradition, though they differ in application. Mohamed Omar Abdel Rahman is a veteran jihadist who fought in Afghanistan. He is also the son of Omar Abdel Rahman, better known as the Blind Sheikh, currently serving a life sentence in the United States for plotting the 1993 bombing of the World Trade Center. ‘There is a difference between a pact and a promise. A pact is an agreement between two parties and cannot be changed without common agreement, as in the Camp David Accords between Egypt and Israel. 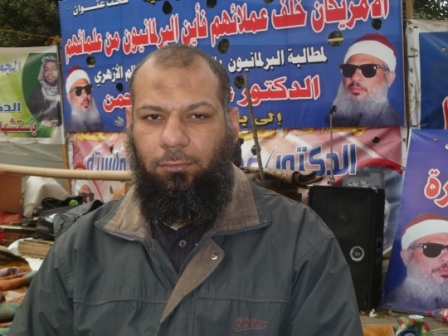 Osama al-Qusi is a Salafi scholar, trained under Wahhabi thought in Saudi Arabia and Yemen. He is controversial in Egypt, however, for his oft-criticized liberal interpretations. He believes Ghozlan is misusing Mohamed’s words. ‘There is a big difference in what I say between me and God, which is the meaning of this tradition, and what I say to other people. 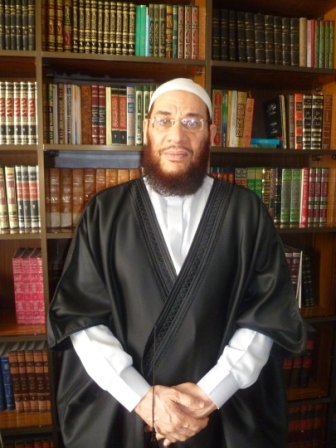 Abdel Muti al-Bayyoumi is a member of the Islamic Research Academy and a traditional Azhar scholar. He and his institution represent mainstream Muslim thought throughout the Sunni world. Like Abdel Rahman, he clarifies as to the nature of the Brotherhood’s commitment. ‘This tradition does not apply because they did not swear to God but only made a promise. ‘In terms of a promise the right to change it depends on their intention; if it was good it is acceptable. Yet Bayyoumi, like many in Egypt, find neither their intention nor their justification acceptable. While a man’s word should be his bond, most admit honest circumstances can free one from a pledge. For many in the West, though, religion in politics risks staining the former and manipulating the latter. 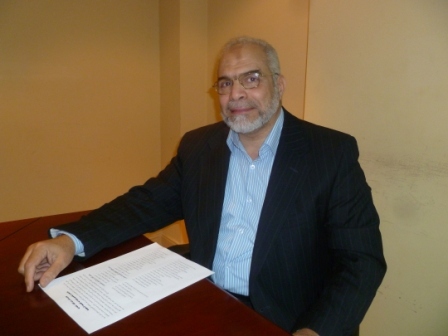 The Muslim Brotherhood, however, believes Islam and politics to be compatible, even inseparable. How they navigate the quagmire will affect not only their own political fortunes, but also the greater Western perception of Islam. This inter-Islamic criticism–especially from al-Azhar–is quite interesting, and contrasts with the monolithic portrait of Islam often seen in the USA, including when it comes to reporting on issues related to the MB. Far be it, though, for an American religious person–not you, just in general–to criticize religious politicians in Egypt for changing their minds or lying about an issue, as if such a problem was unique to Egypt or to Muslims.